Asian Centre for Neurology and Neurosurgery is an integrated department to provide exhaustive medical solutions to all types of neurological disorders. 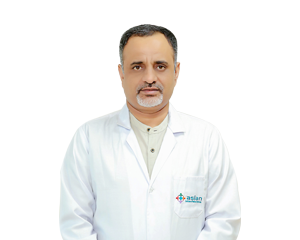 This unit has a perfect blend of best medical and surgical expertise of eminent neurologists and neurosurgeons, constant research and development and latest technology. Our expert care is aided by the state-of-the-art infrastructure from life-saving intervention for acute brain trauma to skillful management of chronic illnesses through medicine or surgery. 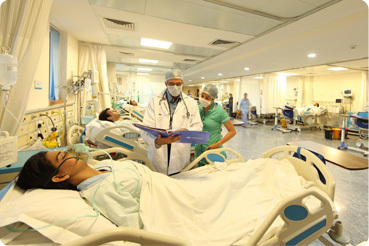 This department is one of the most successful units in Delhi NCR as it has diagnosed and treated thousands of neurological disorders of national and international patients along with some very rare and complex cases. The department has two divisions- Neurology and Neurosurgery which work in sync to provide best diagnostic and treatment facilities for brain and nervous system disorders. 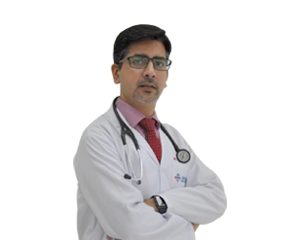 The Department of Neurology at AIMS Faridabad is dedicated and fully armed to provide excellent medical treatment to neurological disorders and deals with a wide spectrum of cranial and spinal disorders with the help of state-of-the-art neuroimaging techniques. 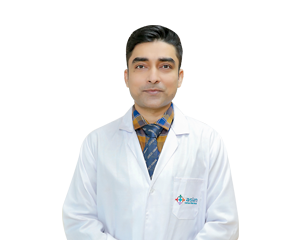 The Department of Neurosurgery at AIMS Faridabad is fully equipped to execute simple as well as critical surgeries related to brain, spinal cord and nerves along with all routine emergencies of head injuries and cerebrovascular accidents. The basic principle of navigation is to establish a virtual space in which a reference frame is localized. A tracker attached to a probe pointer or an instrument is then registered in relation to the reference frame. The images of the MRI or CT of the patient is then loaded on the system and the pointer can be localised on the images. hence the system shows the pointer on the images as it is moved in the patient surgery field. The navigation systems available today give an accuracy to about one to two millimetres. Navigation is also used to mark the lesions for radiotherapy which can be precisely delivered to the target without fixing a frame to the head. this is called frameless stereotaxy. It also has used in frameless stereotactic biopsy of deep-seated lesions. it also increased the safety in skull base surgeries such as pituitary tumours. accurate shunt placement in smaller ventricles can be easily done with help of navigation. 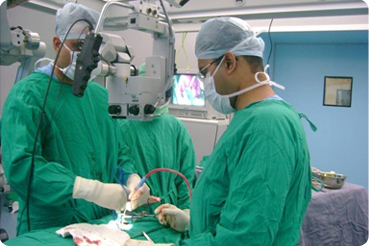 It is very helpful in functional surgeries such as epilepsy surgeries. The use of navigation has also extended to spine surgeries. In spinal surgeries, the registration has to be done after fixing a reference frame or tracker on a fixed bony landmark such as a spinous process. The main indication in spine surgery is to correctly put pedicle screws in deformities. Micro Neurosurgery- This is one of the most important advancements in which a surgeon uses an operating microscope to visualize the deep structures of the brain and special instruments to operate in the depth. 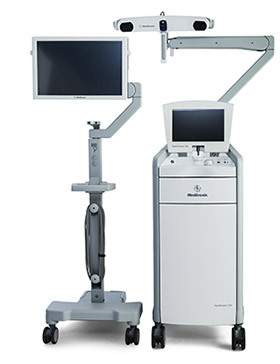 The superior illumination and magnification allows for better differentiation of normal and abnormal structures, resulting in improved safety. Neuroendoscopy- Several neurosurgical operations (like endoscopic third ventriculostomy and endoscopic removal of colloid cyst) can be performed with the help of endoscopes by making tiny holes in the skull (in contrast to opening large bone flap for routine procedures). This minimally invasive technique reduces the operating time, postoperative pain and discomfort and improves safety. 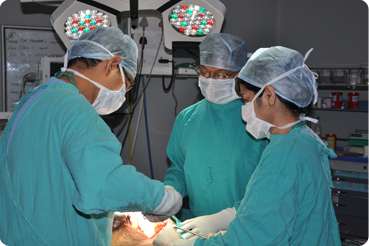 Similar procedures can be performed for various spinal ailments too using endoscopic techniques. Neuroimaging- A complete range of diagnostics including CT, MRI, PET/CT, EEG, ECT, Carotid Ultrasound, Clinical Electroencephalography Lab and Nerve Conduction and EMG Lab. Collaborative Care- Support facilities for Physiotherapy, Rehabilitation, Nutritionist and Psychologist for speedy recovery. Successfully operated and removed brain tumour from an 8-months old baby.